Degenerative disc disease is a back condition that causes sciatica and lower back pain among other issues. If you’re seeking treatment for this condition in Caledonia, Michigan, then we have the physical therapy team for you. Advent Physical Therapy in Caledonia, Michigan has an experienced team of physical therapists. 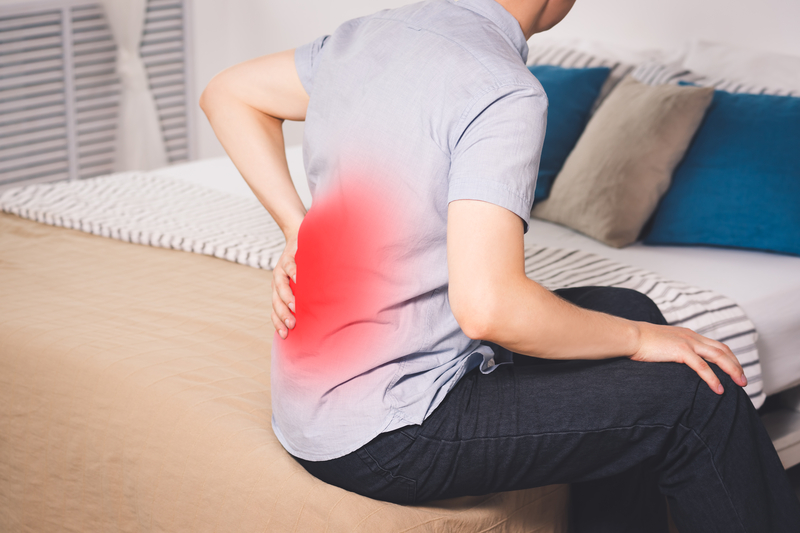 We want to help you find relief from degenerative disc disease by finding the physical therapy treatments that work best for you. Degenerative disc disease is a natural process that occurs as you age. It’s common to associate this condition with older people, but our Advent Physical Therapy team knows that this condition can affect you no matter how old you are. Degenerative disc disease is a condition where the vertebrae and the cartilage between them wear out. This wearing causes your vertebrae to rub against each other and the nerves in your back, including the sciatic nerve. Sciatic nerve irritation can, in turn, cause you to experience sciatica. Sciatica may cause you to experience symptoms such as lower back pain, leg pain and numbness in your legs or feet. Besides causing sciatica, degenerative disc disease can also lead to other issues like spinal bone spurs. Advent Physical Therapy in Caledonia, Michigan is here to help you with these and other types of treatment. Our primary goal is to help you find relief from your pain and improve your quality of life. Contact us at our 10047 Crossroad Court SE, Suite 150 location in Caledonia, Michigan, and we’ll help you schedule your free 15-minute screening. This way, you can begin to find relief from degenerative disc disease and sciatica as soon as possible.